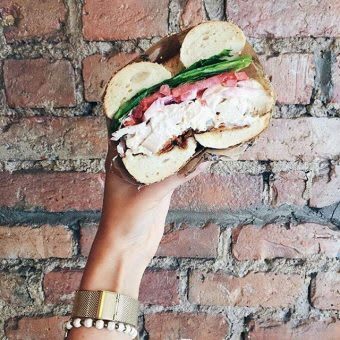 Bagels are as synonymous with New York City as the Empire State building. It’s unclear when the first bagel came to the Big Apple. But already by the year 1900, there were 70 bakeries on the Lower East Side—where Jewish immigrants from Eastern Europe had settled—bringing their delectable carbohydrates from the old country. 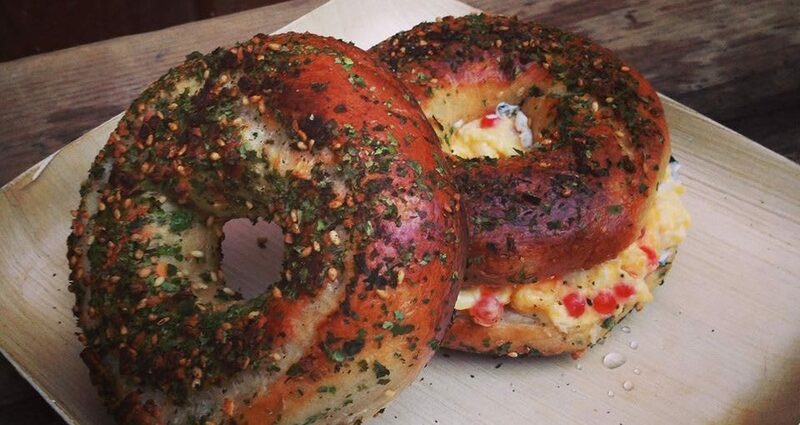 Today, the bagel in all of its glory can be found everywhere from your quick corner shop to high end restaurants. 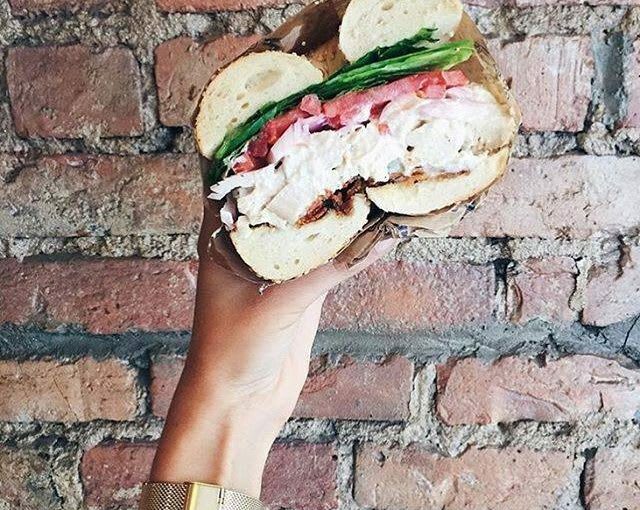 And because we never shy away from a chance to taste them all, we scoured the city to bring you our unofficial local guide of the best bagels in NYC. 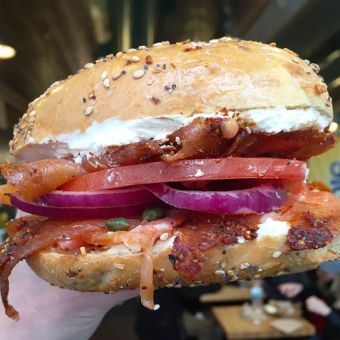 In the heart of Chelsea, there’s never a moment Murray’s isn’t packed with bagel lovers from all over the city. 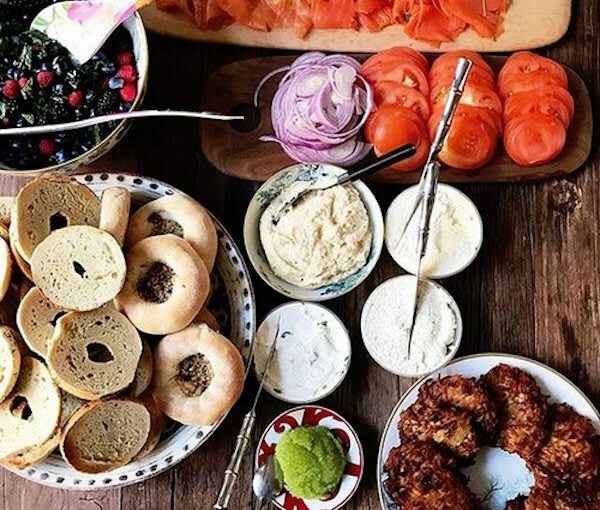 Murray’s has something for everyone, from tofu cream cheese to “flatless” (low carb) bagels, to corned beef and Norwegian salmon toppings. 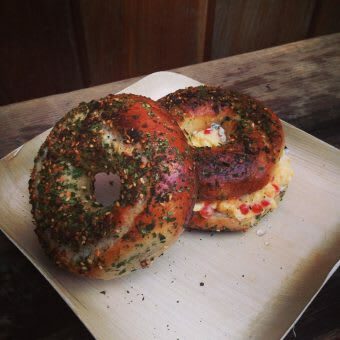 Or try the antidote to any hangover: an omelette on a bagel with bacon. 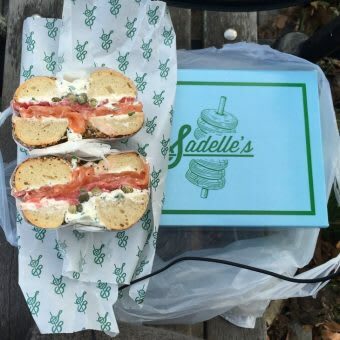 In the heart of Soho, a highlight of Sadelle’s extensive menu are their hand-rolled bagels. They are so good Grub Street ranked them the number one “Absolute Best” bagel in the city this year, a highly competitive honor. If you can push past the other hungry guests who line up each morning, try an “Everything 2.0”: fennel, caraway seeds, lox, capers and chive cream cheese. It's not often that you hear of someone leaving their high paying Wall Street job to hand roll bagels. But that’s exactly what Matt Pomerantz did when he founded the family business Zuckers, inspired by his childhood growing up in the Lower East Side. 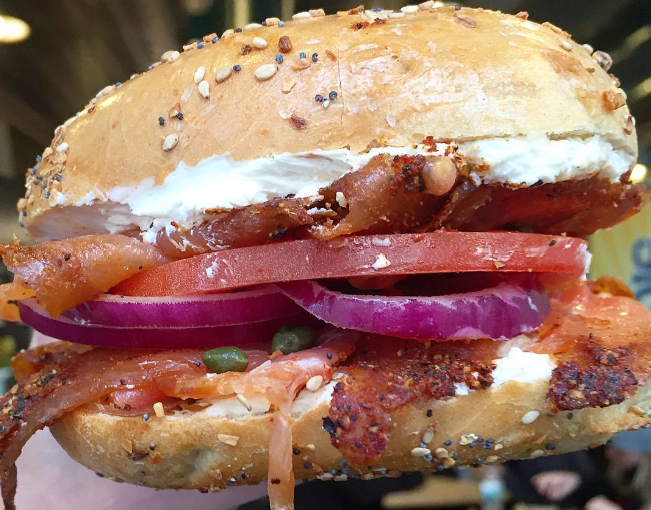 Try one of their signature bagel sandwiches—as authentic as they come—like the David Burke Pastrami Smoked Salmon breakfast sandwich, seen here. There’s been a long running bagel war between Montreal and New York. The Canadian version is said to be smaller, thinner, sweeter and denser than it’s NYC counterpart, with a larger hole, and always baked in a wood-fired oven. So when two friends from each city teamed up to make Black Seed Bagels the result was truly unique. You’ll find out yourself, when you visit one of their three NYC locations. 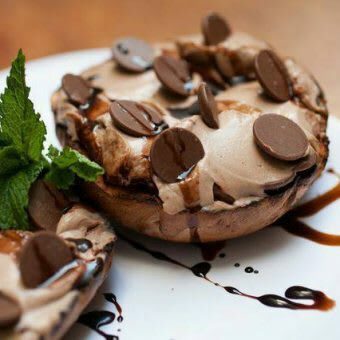 I bet you didn’t think chocolate chip cookie dough or espresso would be flavors ever attributed to cream cheese? Think again. At this East Village neighborhood spot you’ll find dozens of spreadable options, including just as many tofu varietals. 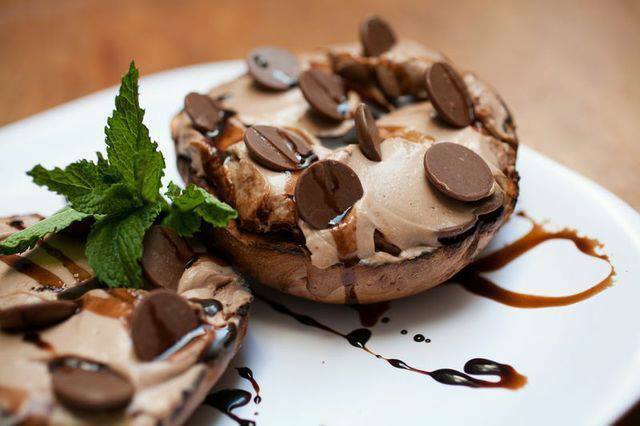 Plus, you’ll find some of the best breakfast bagel sandwiches you’ve ever sunk your teeth into. 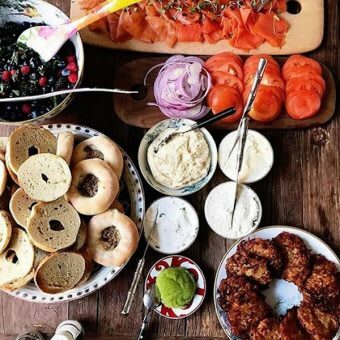 A Lower East Side institution, Russ & Daughters has been dishing up traditional Jewish deli style staples like bagels, lox, and knishes for over 100 years. 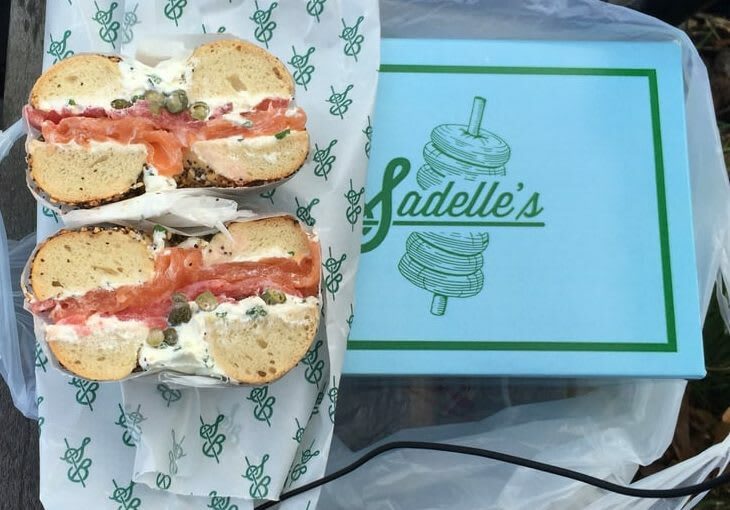 To add to their successful takeaway shop, they introduced Russ and Daughters cafe two years ago, where you can now sit down and nosh on everything from caviar on a bagel to gluten free egg sandwiches.